Download and print the application form and the waiver, then fill out the form. Please include all information, including insurance information. If you have any questions, call Susan Flowers at (615) 533.5163. Once an application is received, you can expect a confirmation email within a week. Please make sure you write legibly so we can read your email address. 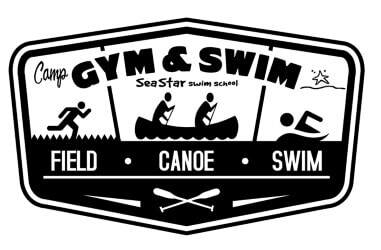 What is Gym and Swim Summer Camp? Gym and Swim offers many unique activities for your child. The camp day is 8:45 a.m. - 1:00 p.m. Each week camp is structured around a theme, and the week's activities embrace that week's theme! All campers will be placed into 2 groups. To begin the camp day, your child will be placed into a group with similar age campers. This group will travel to 3 different stations, which are Swim, Field and Canoe. Here is where all campers will learn and practice skills that will increase their confidence needed in team challenges. There is a simple formula for our challenges: Challenges + Theme= SUPER FUN! Your camper will also be in a multi-level age team. Teams will compete with each other in challenges to earn points. This type of purposeful play encourages team building and problem solving skills. These intentional activities separate Gym and Swim from other camps. We also have trained counselors who add to the our camp's excitement. They help guide the development of our campers. Gym and Swim counselors are leaders, who are not so far removed from being campers themselves. 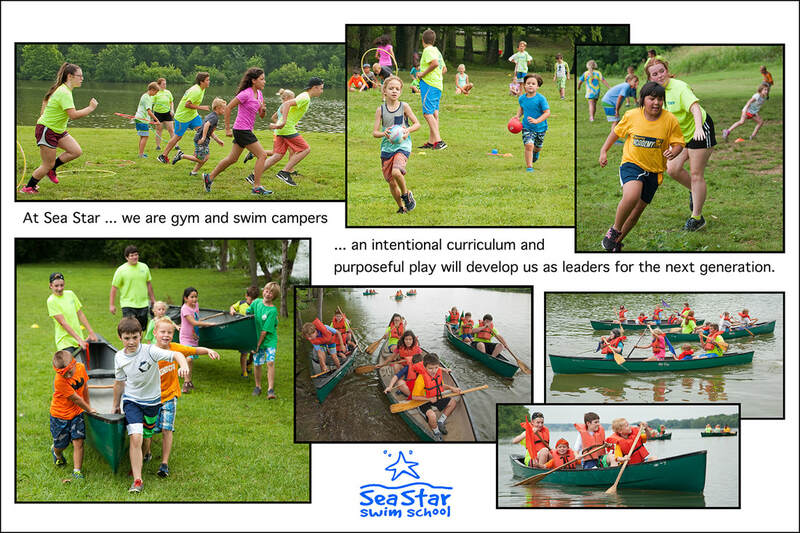 Gym and Swim at Sea Star is a fast-paced camp with the intent to grow leaders. All of us here at Gym and Swim are excited about Summer 2019! Join us today!